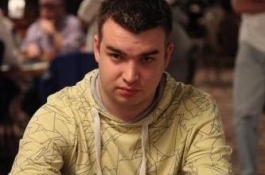 When it comes to online poker tournament success few players in history can rival Chris “Moorman1” Moorman. The UK poker pro, and member of the Brunson 10, has recently added to his impressive resume by capturing his 11th career PocketFives.com Triple Crown –winning three online poker tournaments on three different sites in the same week with a prize-pool over $10,000! This entry was posted on Friday, January 21st, 2011 at 12:29 pm and is filed under Poker News. You can follow any responses to this entry through the RSS 2.0 feed. You can leave a response, or trackback from your own site.